Help develop rapid, innovative solutions to the problems in energy that our society faces today. Now in its third year, the MIT Energy Hackathon brings opportunities for learning, problem-solving, and networking to the forefront as teams develop rapid, innovative solutions to the problems in energy that our society faces today. 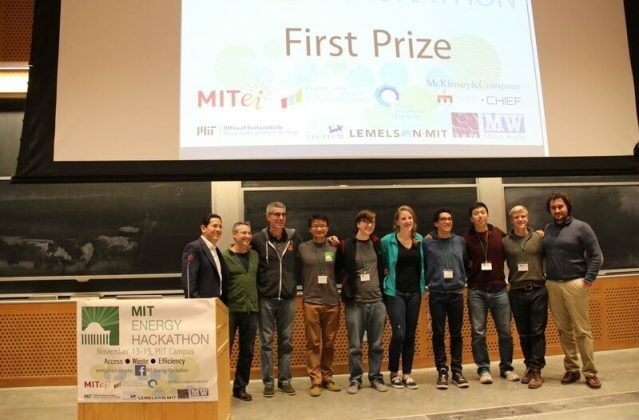 For students, the MIT Energy Hackathon is a helpful platform to learn and understand real-world challenges, generate ideas, find startup partners, and win cash awards. For companies, the Hackathon acts as a powerful crowd-sourcing platform that generates a breadth of potential solutions to the environmental and energy challenges that these companies face. After two days of teams competing to develop novel solutions for specific, energy and environmentally-minded challenges, an awards reception will be held, and the winning teams will receive prizes and recognition from the Hackathon’s sponsors. To learn more and register, visit the event page.